The ovum is released from the Graafian follicle at ovulation, captured by the infundibulum of the oviduct, and transported to the ampullar isthmus junction (site of fertilization). The oocyte/ovum (Fig. 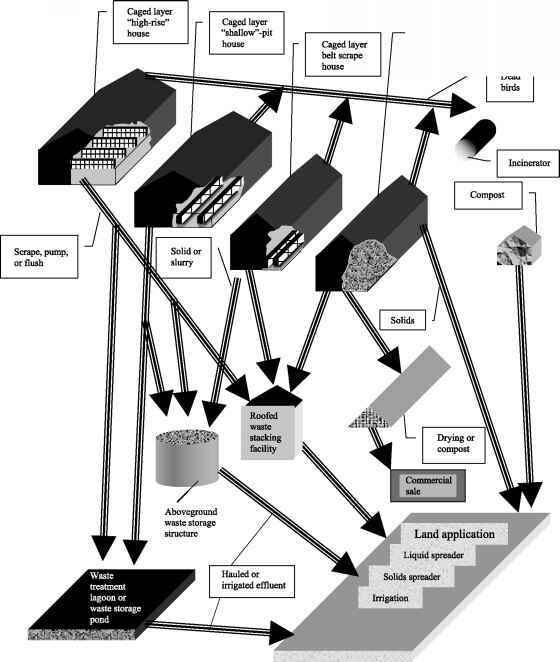 1) is surrounded by the ZP, a viscoelastic, spherical, extracellular matrix composed of three glycoproteins: ZP1, ZP2, and ZP3 in rodents and humans (homologous to ZPB, ZPA, and ZPC in pigs). These glycoproteins are synthesized by the oocyte in rodents or by cells of primary and secondary preantral ovarian follicles in species with a thicker ZP (e.g., cattle and pigs). The murine ZP is an arrangement of repeating filaments of ZP2 and ZP3 units joined by intermittent cross-linking by ZP1. In addition to being structural components, ZP3 and ZP2 are associated with gamete recognition and receptor ligand binding between the egg extracellular matrix and sperm. Glycoprotein ZP3 is the primary receptor for binding of the egg to acro-some-intact sperm, leading to initiation of signal trans-duction events of the acrosome reaction; ZP2 is a secondary receptor and binds to proteins within the matrix of the inner acrosomal membrane of acrosome-reacted sperm. (cumulus oophorus). The cumulus oophorus occurs only in mammals with a placenta, and is lost shortly after ovulation in some mammals (e.g., cattle, pigs, and sheep) but remains attached to the ZP for several hours in other species. 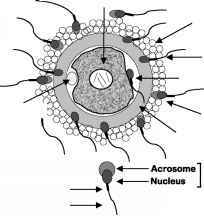 Speculation is that the ovum and/or its cumulus cells secrete attractants for capacitated sperm. Penetration of the cumulus oophorus by capacitated sperm is assisted by hyaluronidases (e.g., PH-20) on the sperm surface.